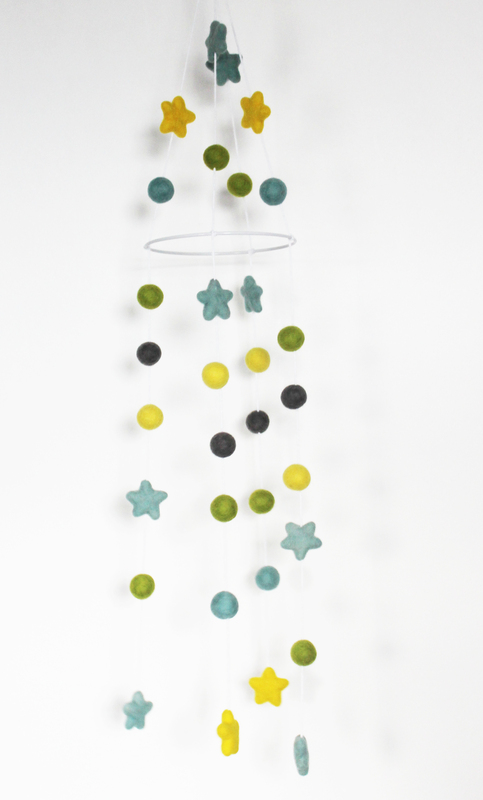 ack by popular demand these felt ball and star mobiles are perfect for a new baby’s room. This set in perfect as a gift for a newborn. The mobile is approximately 15 cm wide and 87 cm long made with 2.5cm felt balls and 4.5cm stars. Custom orders available, in many different colours, just drop me a direct message. 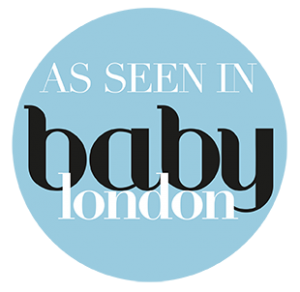 If you are unsure of the colours you require for your little one’s room, I would be glad to help. Please follow me on instagram @Feltgoodness and share pictures of your mobile in its new home! The perfect Eco-Friendly gift; a yellow, green, grey, and blue unisex bedroom decor will complete your nursery or toddler’s bedroom. Hand made with love, this dream catcher is extremely light and consists of felt balls measuring 2.5cm and felt stars measuring 4cm each. The total measurement of the dream catcher when hung is 30 cm wide x 66 cm long. Are you wondering where you can install this felt ball dream catcher? Custom orders available, in many different colours, just drop me a direct message. If you are not sure about the colours you need for your little ones room. I can always help you with that. 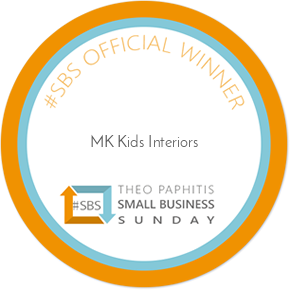 Please follow me on instagram @MKKidsInteriors and share pictures of your mobile in its new home!